The community of Buttah Windee is 760 kilometres north-east of Perth. Almost a decade ago, naturally-occurring uranium was found in the water supply at double the national health standard. For several years, the WA Government tried to move residents into state housing in nearby Meekatharra, leading most of Buttah Windee’s 50 residents to leave. However, some stayed, fearing the social issues plaguing Meekatharra. They were stuck with the tainted supply until WA company Wilco Electrical heard about their plight. 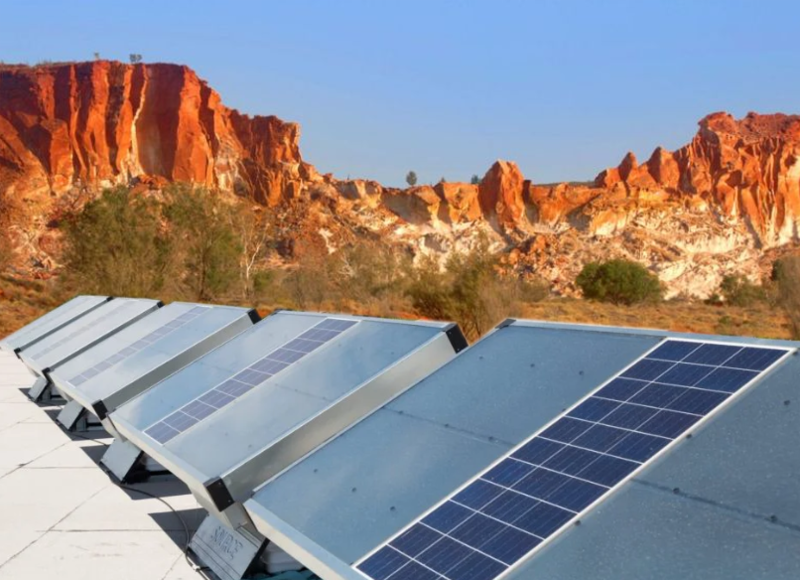 The company donated six solar hydropanels, which have now been installed at the outback community. The units capture water from the air to produce up to 900 litres of water a month. Solar power is used to run fans and draw in air, which is then condensed into a tank and pumped to a tap. Locals also turned to crowdfunding, raising nearly $26,000 in three months to install a reverse osmosis water treatment plant. This process removes contaminants from the water and adds back in useful minerals. The community now has safe drinking water and enough left over to run a small barramundi fish farm.